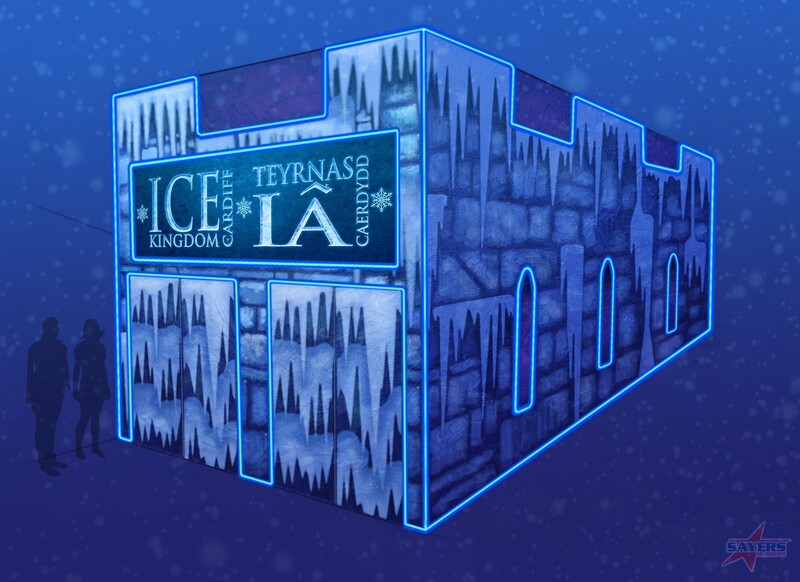 An exciting brand new winter attraction arrives in the city in November, with the opening of the Ice Kingdom Cardiff at Cardiff’s WalesOnline Winter Wonderland (Cardiff’s WOWW) – creating an ice phantasia in the heart of the capital that will appeal to all ages. The Ice Kingdom Cardiff will run alongside the open air ice rink and fairground attractions from November 12 to January 3, and features numerous dynamic ice sculptures made from some 40,000kg of ice, all with a Winter in Wales theme, to thrill an anticipated 50,000 audience over Christmas and the New Year. The Ice Kingdom will feature a Welsh dragon, our love of sport, and the chance for youngsters to have their photographs taken on an ice throne, all created by Funky Ice sculptors. Cardiff’s WalesOnline Winter Wonderland is the star attraction in the capital’s festive line-up, sponsored for the second consecutive year by WalesOnline, the country’s leading news website and the digital presence of Media Wales. A record 60,000 people skated on the open air ice rink last year, despite the indifferent weather, with some 300,000 enjoying the overall attraction that features an authentic Alpine Village, and all the fun of the fair in the heart of Cardiff. Sayers Amusements operates the site in collaboration with open air ice rink experts Cousins Entertainment, run by Olympic Gold Medallist and Dancing on Ice judge Robin Cousins, who also run outdoor rinks at Hampton Court Palace, the Tower of London and Winchester Cathedral. Sayers will also be running this year’s New Year’s Eve party celebrations in the capital. In addition to Winter Wonderland, Step Into Christmas marks the sparkling start of the Christmas season on November 12 with entertainment and late night shopping, Santa’s log cabin will be on Queen Street, and there are traditional festive shows at New Theatre Cardiff, St David’s Hall, and the SWALEC Stadium.